?John M. Boles, 74, retired banker and father of onetime Movie Actor John Boles, died Sunday morning at his home. Jacksonville, Cherokee county, as a boy. He attended public schools there and later studied at Baylor University and in Lexington, Ky. On Aug. 28, 1833, he married the former Miss Mary Jane Love and they moved to Greenville the same year. Boles, who retired several years ago, was an elder of Grace Presbyterian Church and past eminent commander of the Knights Templar. Surviving are two sons, John Boles of Beverly Hills, Calif., and Jake W. Boles of Dallas, three grandchildren and five great-grandchildren. Services will be held at 10 a.m. Tuesday in Greenville. 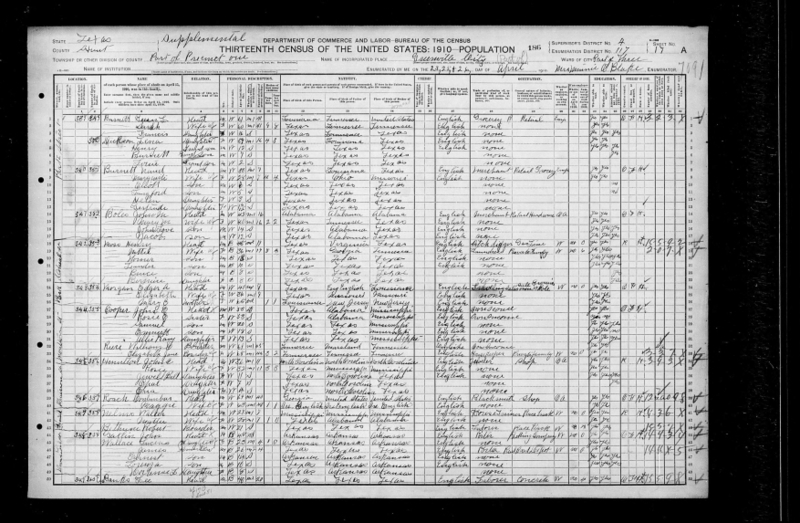 [S323] U.S. Sons of the American Revolution Membership Applications, 1889-1970, (Ancestry.com), Database online.